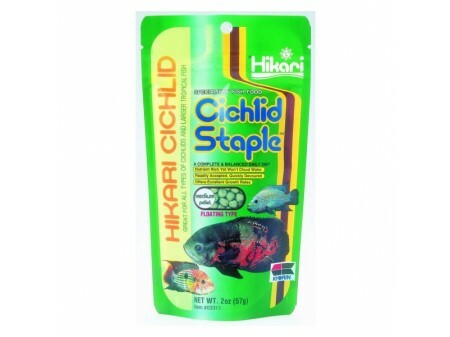 Hikari Cichlid foods have been specifically formulated for the different nutritional requirements of herbivorous carnivorous and omnivorous cichlids. Cichlid Staple is an excellent economical daily diet for all Cichlids and larger Tropical Fish. Specially formulated to ensure that pellets are readily accepted and quickly devoured. Balanced nutrition promotes excellent growth rates through improved digestion.